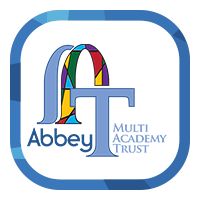 Rewarding students is important to us and all members of the Academy community encourage positive behaviour and reward students on a daily basis. Students in all year groups who are working well will be rewarded with ‘Praise points’. Students who consistently meet our expectations will be rewarded automatically. Students will be awarded 1 point through Class Charts for any achievement and can be given a maximum of 3 in one lesson. 2 extra points can be awarded for outstanding homework and attending after school clubs / revision sessions. Tutors will award 1 point for students who attend on time with correct uniform and with all equipment. They will award 1 point to students who have no negative comments. At their discretion, tutors can award 2 extra points for students that make an excellent contribution to tutor time. Any students with 100% attendance per half term will automatically be credited with 50 points. Any students with 95% attendance per half term will automatically be credited with 25 points. 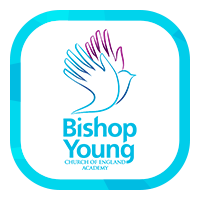 Each half term both the Head of House and Achievement Directors will visit all VTG’s and give 10 points to two deserving students. Students who achieve Grade 1 in attitude across all subjects in PTP collections will be awarded 50 points. Students who achieve Grades 1 and 2 in attitude across all subjects in PTP collections will be awarded 50 points. 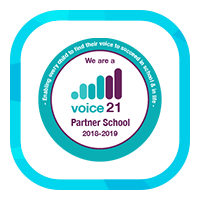 Any student following the expectations around the Academy and displaying our values and expectations around school can be awarded up to 5 points. Senior staff will provide a high presence across the Academy and they can award Praise Points at their discretion. Teaching staff can refer students to the Principal if they are working exceptionally well. 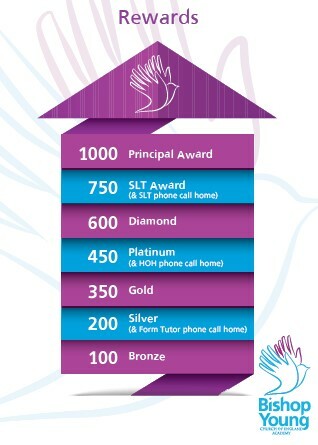 ‘Praise Points’ are not only designed to reward individual students, but they can also be used to recognise the success of a House in the school pastoral system. The House system is designed to encourage a sense of belonging to the school and to encourage students to work together and support one another. The House system also promotes achievement by enabling students who gain rewards to earn points for their Houses. The Heads of House, supported by students, promote Sports Day, fund raising events, curriculum area competitions and activities and assemblies in order to motivate students and promote a sense of achievement and belonging. Healthy competition across the House system, with the right incentives, will help to drive standards even higher.